I'm a retail investor like most of you and learning everyday, but I have been educated and trained to identified the Smart Money on the charts to pick up whatever crumbs they leave behind. 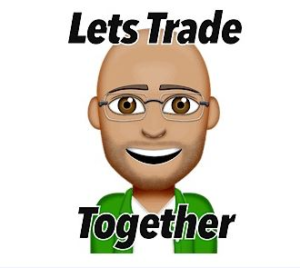 TIMM (Traders’ & Investors’ Mentor Market) provides the tools analysts need to share their insights in a central location, TIMM becomes a market where traders and investors can shop for the insights they’re looking for. Nice set-up to short the Aussie Dollar on the 60 min chart. Equity markets should be headed higher from here….this is the Dow futures I was looking at and the level I liked. “W” pattern forming on the Euro…on the 15 min chart…no play as of yet. The “W” pattern formed from the 4 hr demand zone. Got filled to the tick…lets see what happens..will manage risk accordingly. Price formed another supply zone, went to bathroom, came back, price hit my target. Here was a nice little setup found on bonds on the 60 min demand zone yesterday, equities are down, so bonds are up. Equity Markets are bearish pre-market….just missed the Dow futures 2 min supply zone set-up, but set up on the ES for a short. This post is my personal opinion. I’m not a financial advisor, this isn’t financial advise. Do your own research before making investment decisions. Litecoin Testing Support – Is it time to buy?